EU citizens are struggling to apply for settled status in the UK because the Government website keeps crashing, according to reports. 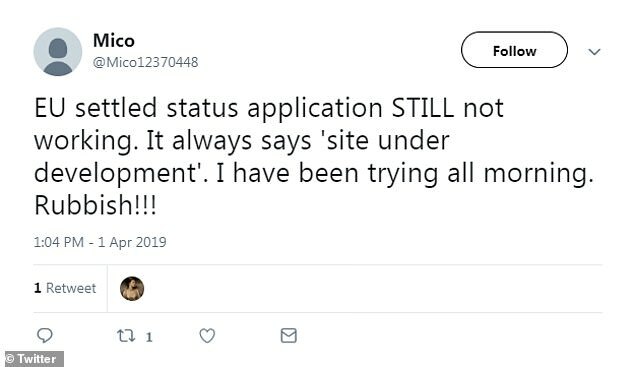 Europeans hoping to stay in the country post-Brexit have taken to social media to express their frustration with the official settled status application website, claiming they are greeted with an error message or the page simply will not load. EU citizens have until June 30 2021 - or December 31 2020 in a No Deal scenario - to apply for post-Brexit residency through the scheme, which opened on January 21 and was rolled out fully on March 30 this year. Those hoping to remain in the UK must prove their identity using their passport or national identity card, but several applicants are complaining that they were redirected to an error page after starting the application. But applicants are claiming they are met with error messages when trying to apply. 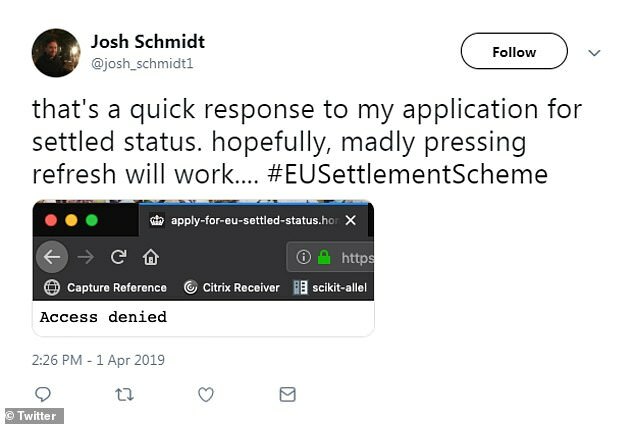 Twitter user Josh Schmidt today uploaded an image of an 'access denied' message while on the settled status application. 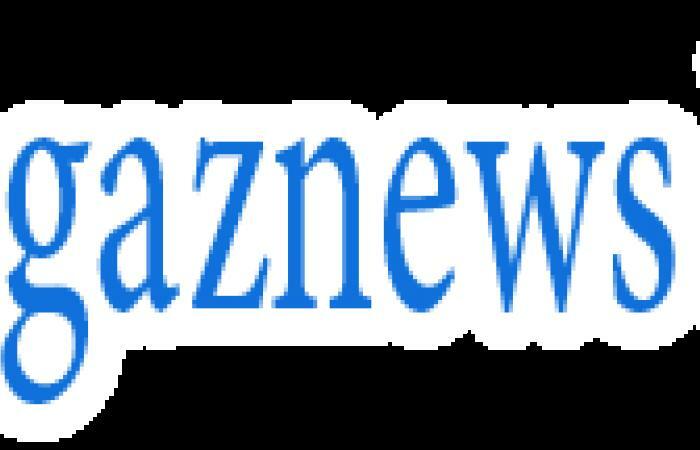 The scheme was said to have been designed 'in close consultation with EU citizens, employers and community groups', and was said to be 'free and simple to use via a brand new online application process'.